Austyn Crites, who caused Trump security scare, says was beaten for holding anti-Trump sign. 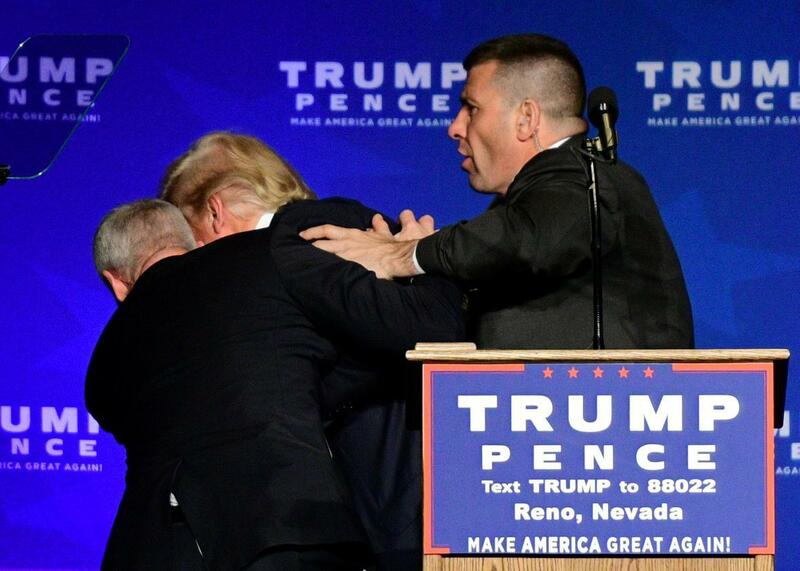 Donald Trump is hustled off the stage by security agents after a perceived threat in the crowd, at a campaign rally in Reno, Nevada on November 5, 2016. It was an immediate viral video. Secret Service agents rushed Donald Trump off the stage at a rally in Reno, Nevada on Saturday night. Shortly thereafter, rumors started going around that someone was holding a gun, that the Secret Service had prevented an assassination attempt on Trump. The truth was much less interesting. Turns out someone pulled out an anti-Trump sign, someone yelled “gun,” and in swept law enforcement. No gun was found and the “suspect” was allowed to go on his way. Crites says that’s when the crowd around him started punching, kicking, and even choking him. At one point he feared for his life. “Multiple people just tackled me down, kicking me choking me and just beating me up,” he said. “That’s when things even got crazier. I was on the ground and people were holding my arms, legs and I kept saying I can barely breathe. I was turning my neck just to get a little bit of air to keep from passing out.” The 33-year-old registered Republican tells the Guardian it was actually a relief when the police arrived and handcuffed him because it meant they suddenly were the ones fending off the Trump supporters. Crites, and witnesses, all agree that someone yelled out that he had a gun when he was already on the ground. 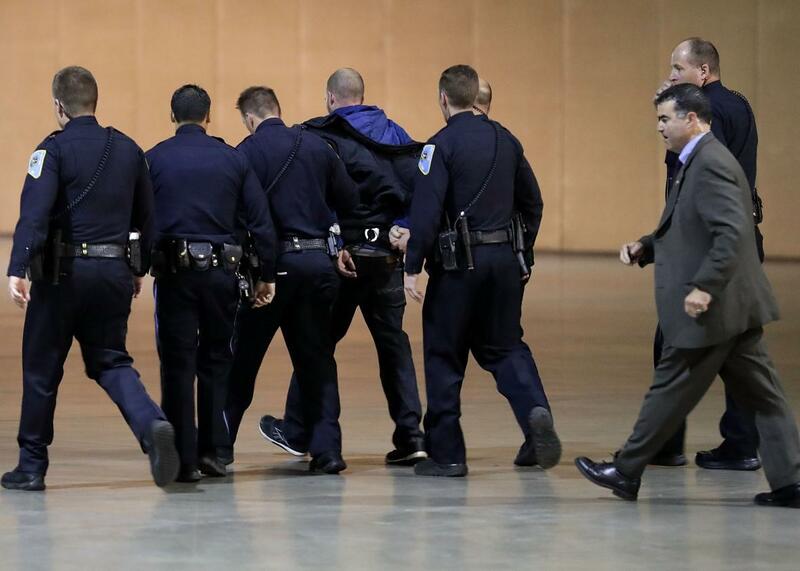 Police officers and U.S. Secret Service take a man away in handcuffs from a campaign rally for Republican presidential nominee Donald Trump at the Reno-Sparks Convention Center November 5, 2016 in Reno, Nevada.